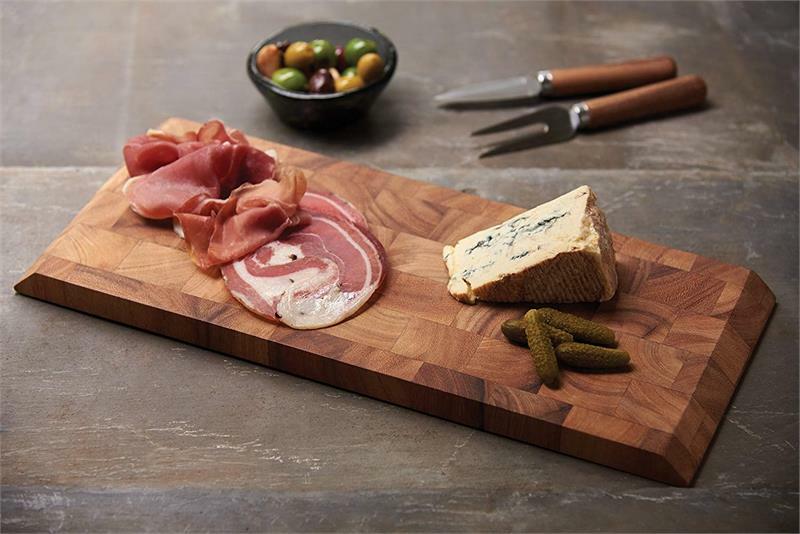 A perfect way to serve your prepared meats. 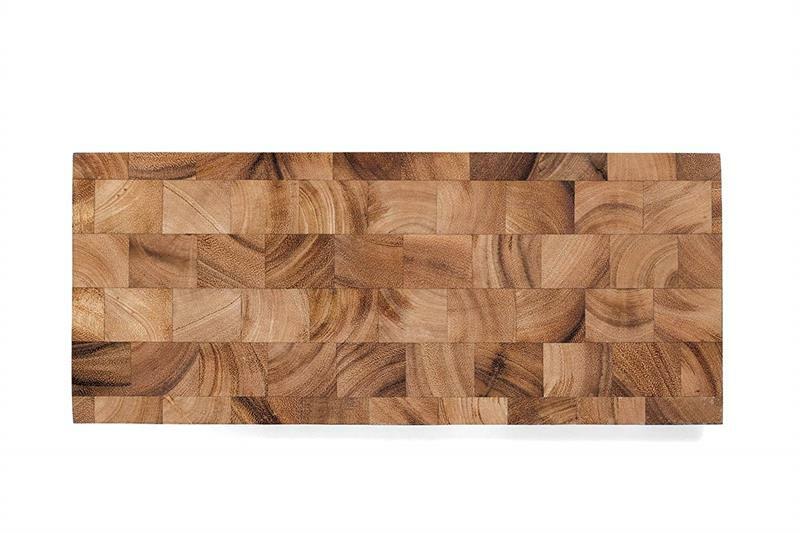 This Bowery End Grain Cheese and Charcuterie Board is made from gorgeous acacia wood. Unlike traditionally made boards, end grain construction is less dulling to cutlery because the wood grain direction accommodates cutting instead of resisting it. Wear and tear is minimized on both cutlery and on the board, giving more longevity to all your cutting tools. and features a stainless steel grommet for easy hanging and storage. Elegant and functional, this board will look stunning and be of use for years to come. Preparation and presentation, all in one. **Use & Care** Wash Ironwood products in warm, soapy water and thoroughly rinse with clean water. Do not soak. To dry, prop up off of counter to allow all surfaces to air dry evenly. Wood products should never be washed in the dishwasher. After drying, rejuvenate and protect the wood by rubbing it down with Ironwood Butcher Block Oil. Apply the oil liberally and allow it to soak in thoroughly before use. 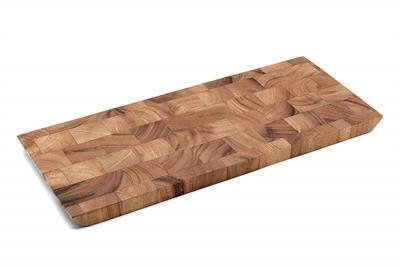 Regular application of our Butcher Block Oil will prevent cracking and preserve the rich natural colors of the wood. Imported. Brand New with Tags.